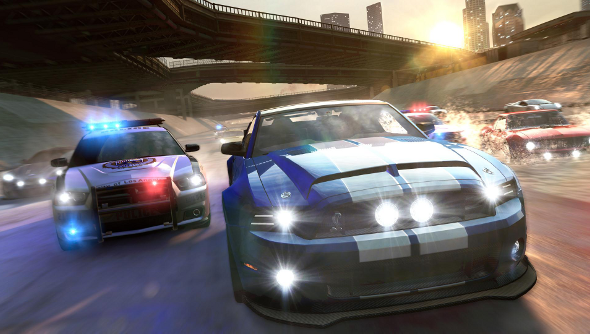 Ubisoft’s upcoming open-world racer The Crew has put a lot of focus on the streets and highways of its interstate playground, but thankfully it hasn’t forgotten what’s at the centre of the experience: cars. The latest trailer for the game puts a series of petrol-guzzling beats in the spotlight, and shows exactly what you can do to them should you wish to spend a few bob on doin’ ‘em up. As with any good racer worth its salt, The Crew looks to have a vast set of customisation options to allow drivers to adapt and modify their cars to their exact specifications, be that for personal joy or to flex to the demands of the geography you plan on hurtling through. Whilst this trailer doesn’t explore quite how we’ll be going about this greasemonkey work, we do get to see the end results of the tinkering. Hopefully customisation will be a core element of The Crew’s engine bay; requiring a tactical approach to how you kit out your machine would add a nice layer of persistent strategy to The Crew’s breakneck racing. We’ll find out just how much of an impact modifications will make when the game releases on December 2nd.